Buy a special pass for your fourth- or fifth-grader and he or she can explore 34 different New Hampshire ski areas. The Ski NH 4th and 5th Grade Snowsports Passport, which runs just $30, includes a one-day lift ticket to 16 downhill ski areas and a trail pass voucher for 18 cross-country areas. Passholders can also benefit from additional deals, such as savings on first-time and beginner lessons, equipment rentals, and lift tickets and trail passes for parents and siblings. Kids don’t have to live in New Hampshire to participate, but there are blackout dates. A portion of the proceeds from each pass goes to Make-A-Wish New Hampshire, a Ski NH partner, which grants the wishes of children with life-threatening medical conditions. 603.745.9396, www.skinh.com/deals. Stay at the five-star Mandarin Oriental Boston anytime through March and enjoy a family package that includes an ice skating adventure. 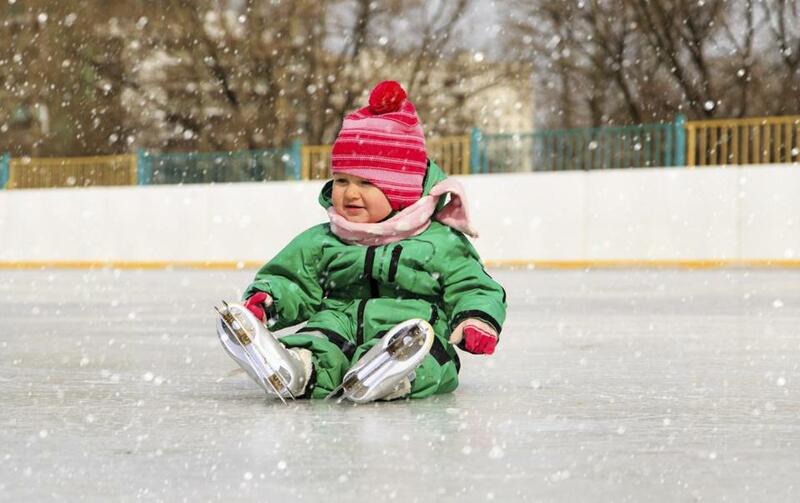 The hotel’s Skate and Celebrate package includes admission and ice skate rentals at Boston Common Frog Pond, and a child-size frog backpack with a hot chocolate-filled thermos and frog-shaped cookies. Add to that cozy accommodations, a mini bathrobe and slippers for post-skating chill time, and a Play Station 3 gaming console with games for in-room entertainment. The Back Bay hotel offers easy access to Newbury Street’s boutiques, art galleries, and restaurants. The package runs through March 31. Rates start at $680 plus taxes, based on two adults and one child (add $12 per additional child), based on availability. 617-535-8880, wwwmandarinoriental.com/boston/hotel-offers. Make a connection with Cuba’s rich culture and natural world on an 8-day photography tour run by Cuba Unbound. Visions of Cuba, Jan. 8-15, includes a chance to explore Old Havana with its colorful Spanish architecture, visit a crocodile-breeding center, swim in the Bay of Pigs, and learn about conservation efforts at Zapata National Park, known for its wetlands. Learn how to capture these and other adventures from photographer Chad Case, whose work has appeared in National Geographic and Outside Magazine. Case will offer in-depth tips on travel photography, from shooting subjects to processing images. Participants will also meet Julio Munoz, a renowned local photographer in the city of Trinidad, and explore the French-influenced Cienfuegos, a UNESCO World Heritage Site. $3,985 per person, includes guides, photo workshop, activities, accommodations, ground transportation, and most meals (doesn’t include airfare). 800-624-0482, www.cubaunbound.com. Buy VIP tickets now for the country’s largest single-region wine and food event, Taste Washington, which features more than 225 Washington state wineries and more than 65 Pacific Northwest restaurants. The festival, held March 23-26 at venues throughout Seattle, offers seminars, wine tastings, live cooking demonstrations with celebrity chefs, and other events, many of which sell out. The first-ever VIP all-access tickets are available now (only 50 available), or get $20 off the Grand Tasting event through December (code: 20TASTE). The Connoisseur VIP guarantees access to all of the festival’s signature events, letting you jump to the front of the line, and get reserved seating at the Alaska Airlines Mileage Plan Chef’s Stage. Individual event prices vary; The Connoisseur ticket costs $570 per person. www.tastewashington.org. The lightweight and nondescript Pickit M2 printer looks more like a small gift box than a high-quality printer. The 8.8-ounce device, which measures about the size of an iPhone 6 plus, although slightly thicker (.96 inches), connects quickly and easily to your Apple or Android smartphone via WiFi or to NFC-compatible Android devices. Download the Pickit app and use it to shoot photos or to select images from your gallery or social media sites for printing. The mini printer uses dye sublimation technology, producing a four-layer, full-color, and fully laminated 2.1-by-3.4 inch image in seconds. Or use the app to print passport-size (2-by-2 inch) photos. Each cartridge holds 10 sheets of photo paper. Charge the portable device by micro USB. $99.95 from Amazon.com. www.prinics.com. Parrot’s new Zik 3.0 noise-canceling headphones offer a rich concert hall-like audio experience and the ability to filter out everything from noisy hotel neighbors to throttling plane engines. Like their predecessors, these headphones let you pause playback when you slip them off your head, and change tracks and volume or manage phone calls with a simple finger swipe on the right earpiece. Yet this new model comes with a wireless charger (two hours of charging gets you 18 hours of use), a widened headband for added comfort, and fun designs (think leather, crocodile-textured, and colorful). An added bonus: Parrot’s Audio Suite app lets you quickly check battery life while on the go, and adjust the equalizer and other sound effects. $399.99. 877-972-7768, www.parrot.com.